Using a proxy for SEO is one of the most common things around the world. People tend to use proxies for a variety of different purposes. The SEO usage is no different. 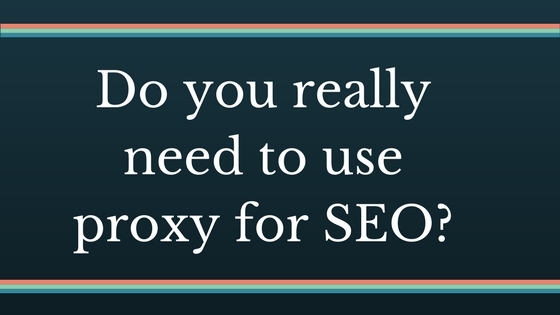 There is a lot of scope of using a proxy for SEO. Be it your business use or for the enhancement of your product marketing, proxies can cover you well. Working on the internet without being traced holds great benefits. When you surf on the internet, there would be different ads which come across, and you think how come it knows I was looking for this certain product? Well, the reason is that web servers have your data. It knows your preference when you get online on the same IP address. In addition to all this, there are different types of specialties to buy proxies.